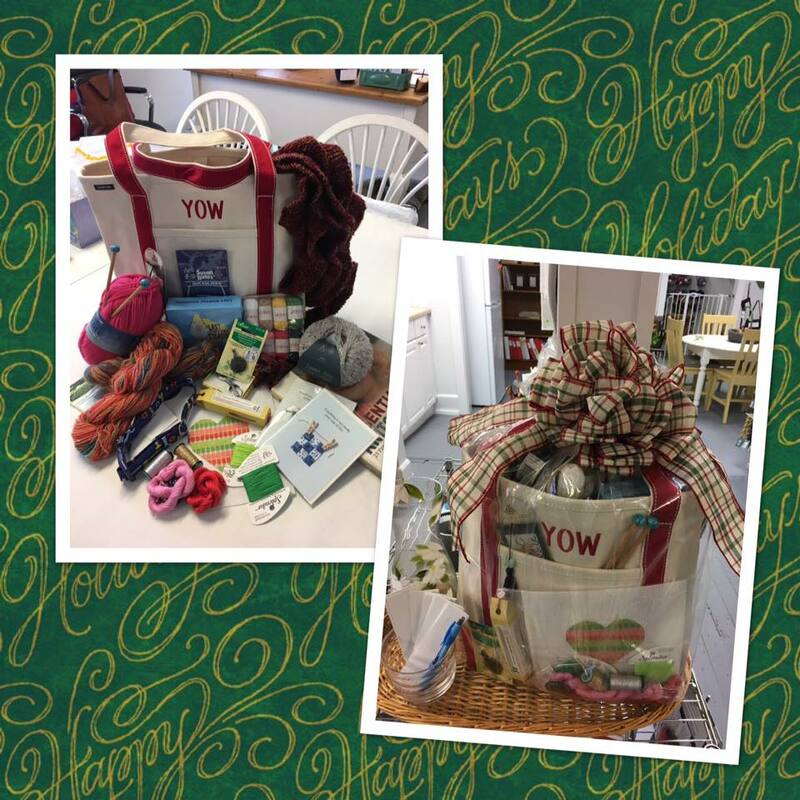 YOW is happy to announce our first annual holiday drawing! We’ve filled a lovely monogrammed canvas bag with assorted needlepoint and knitting goodies. Simply come in our store and put your name in the jar. Drawing will be on the 21st. Closed December 23 – 25.